So, if you follow me on Twitter and Instagram you'll probably already know that myself and Lorna have been working on organising a blogger event- Lorna has, this week, written a blog post on how we came to the decision of starting it all so check that out over on her blog! I thought I'd do a bit of a 'what we would like to see from the events' type post! So initially we had set out to just throw one event- an opportunity for us both to meet more local bloggers and to get some brands who we love involved.. but whilst putting plans together,speaking to different brands/PR people and exploring opportunities we realised that not only do we have WAY too much to fit into one day but how exciting it would be to make it an ongoing thing! We love the idea of hosting events in different cities across the UK and you know what.. its really helped both me and Lorna get through some crappy weekdays.. knowing that when we arrive home we have tons of emails to send,parcels to open and pictures to take. For me, its made me realise that the skills i've picked up through blogging are actually really valuable in the 'real' world too- a lot of people from outside the blogging world have been quite puzzled as to why companies want to provide us with products and to join us on the day- its the modern way of connecting with your potential customers of course!! Its also led me to apply (and have an interview already!) for a role in the marketing department at the company I work for..eekkk exciting! 1. 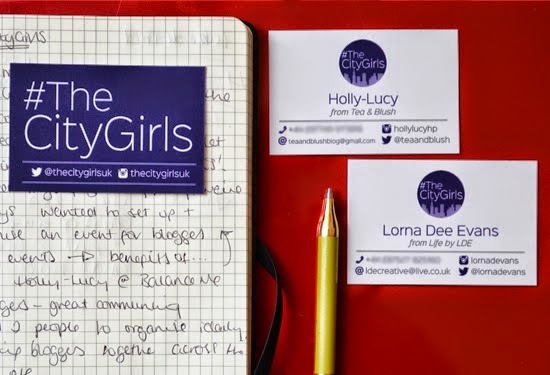 We each spend approx 3-4 hours per night using our social media sites to connect with you all- make sure you check us out @thecitygirlsuk on both twitter and Instagram! 2. Once you've RSVP'd make sure you keep us updated as to whether your able to come to the event- we know bloggers have busy diaries so if you do have other commitments let us know ASAP so we can backfill your space. 3. Take tons of photos/videos on the day! 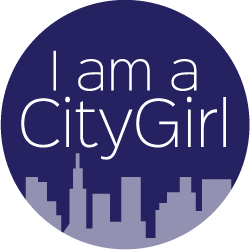 Make sure you use the hashtag #TheCityGirls so that we can let the brands and other bloggers know where to follow us all throughout the day! 4. Our events aren't just about the freebies, those are a bonus! Mingle, get to know new people and share tips and ideas with us all.. at the Sheffield event we are going to be creating a space where you can do this.. more to come on that on the day ;)! 6. Get stuck in! All the brands we have invited are SO excited for the day- they've all known they are coming for a good few months so they have been prepping ideas and things to talk you through. Quiz them, test out products,ask them questions, do some networking, bring your blogger business cards to give to them all! We've made sure all the brands are blogger friendly and they are on the look out for great bloggers who post regularly and take a good photo to blog about their brands in the future! Opportunities galore! 7. Eat and drink lots (responsibly of course...!) We love the venue we have booked for the premiere! If you are one of the lucky ones to be coming to the first event you will know the name of the venue (ssshhh!) and hopefully will have seen some of our photos of the room we have. Myself and Lorna have spent a good amount of ££ on the decorations and as we are feeling v.excited and generous we have pre-paid for some delicious food for us all to have on the day.. don't have lunch before you come because we have a lot! 8. One of the really important things we need from everyone who attends our events are blog posts/videos afterwards! We've been sent SO many items by a lot of companies and for us to be able to ask for items for future events we need to be able to show that #citygirls write great posts about all the goodies you receive/win at the events. We've worked out that with the items we are going to be giving away in the goody bags, if you wanted to do a blog post per item, there is enough to keep you going for a good few weeks! 9. Most importantly.. have fun and spread some love to those bloggers that you haven't met before! 10. We've had a lot of interest in our first event and unfortunately we've had to be tight on numbers so if you haven't been invited this time we hope you still love us and keep an eye out for future events! We couldn't be more excited about this event and future events we are already planning, me and Lorna pretty much speak daily about all of this (and the ups and downs of general life too!) and not only do I now have a new blogger friend but I also have a real life friend who I am looking to experiencing some amazing times with! AWWW!